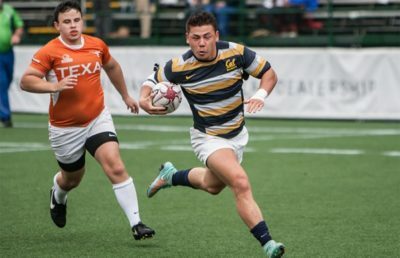 After easily handing out losses like candy to opponents throughout the regular season, the Cal rugby team hit a wall Saturday against St. Mary’s — one that it ultimately couldn’t overcome. Despite a second-half near-comeback, the Bears were not able to triumph over the undefeated Gaels, and they fell, 21-12, in their final regular-season game of the spring. The Bears’ scoring effort was their lowest one of the season — and not coincidentally, it came against their toughest opponent. 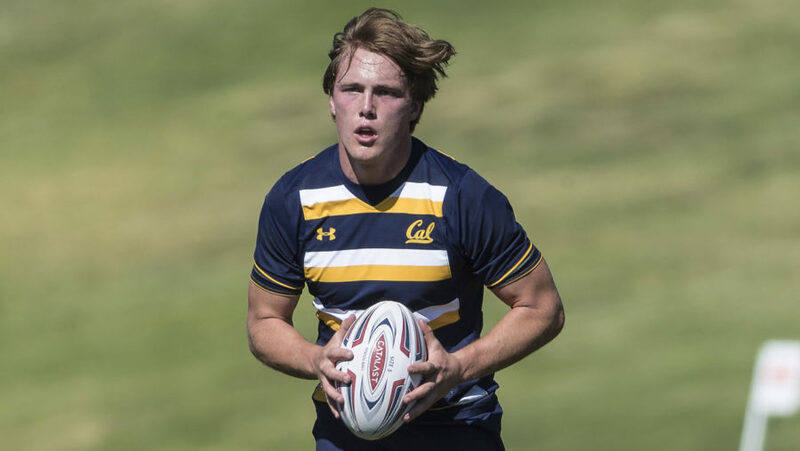 The only lead that Cal held came early in the first half, when senior wing Justin Dunn scored a try in the 14th minute to put the Bears up, 5-3. That lead wouldn’t last long, however, as St. Mary’s came back on the other end three minutes later, when the Gaels’ junior Sean Yacoubian scored on a penalty kick to regain the lead for his team, 6-5. Yacoubian, a scrumhalf from Scotland, was the Gaels’ leading scorer, tallying 11 of his team’s 21 total points in the game off of three penalty kicks and a conversion. The Bears were plagued by their own mistakes throughout the course of the game, allowing St. Mary’s to capitalize on errors that Cal doesn’t typically make. The Bears committed double-digit turnovers — and the Gaels were able to make use of these lapses throughout the game. “No. 1, you have to keep in mind that you’re playing a good opponent, and No. 2, a lot of what you’re doing on the field is going to enable you to become victorious at the end of that situation,” said fifth-year No. 8 Thomas Robles. St. Mary’s built on its lead at the end of the first half with a try and a conversion in the 36th minute. Heading into halftime, the Gaels held a 13-5 lead. 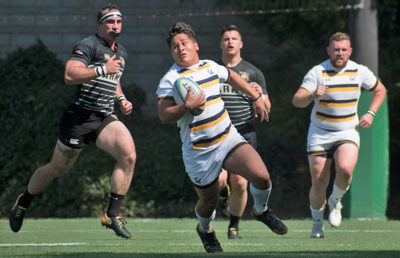 The Bears were not able to score again until the 53rd minute, when a try from sophomore scrumhalf Keanu Andrade and a conversion from junior fullback Troy Lockyear brought the Bears within four, 16-12. Cal, though, was unable to score again in the game — and that inability contributed to the win for St. Mary’s. The Gaels scored one last try in the 78th minute, sealing the Bears’ fate, and closing the match with a 21-12 scoreline in favor of St. Mary’s. While the loss is a signal to the Bears of the challenges that lay ahead in the postseason, it won’t have a tangible effect on their next four weeks. 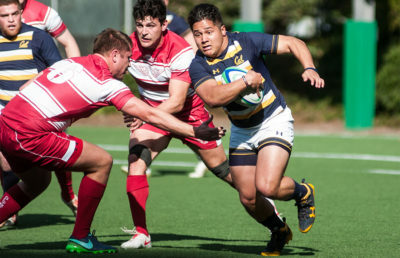 Cal has already qualified for the playoffs, and the Bears will host a yet-to-be-determined opponent at Witter Rugby Field next weekend. The Gaels, who remain unbeaten, will enter the postseason ranked No. 1 in the nation. It is very possible that the Bears and the Gaels will meet again in April. Now, Cal knows exactly what to expect from its California rivals — and that knowledge could prove invaluable in a high-stakes playoff matchup.